Have you ever imagined the level of excitement and thrill that a stylish limousine ride can add to your special event in Washington DC? Limoservicedc.net is an exceptional transportation service that caters to all kinds of needs. With DC Airport Car Service, you can plan a royal wedding, a crazy bachelorette/bachelor party, a memorable reunion, a pick up and drop schedule for business clients, corporate outings, concert nights and much more. We, Executive Car Service DC pay detailed attention to your needs to fulfill your travel preferences. It is our high quality Town Car Service DC service that has helped us earn the topmost position in DC Airport Limo Service and Airport Car Service in DC. 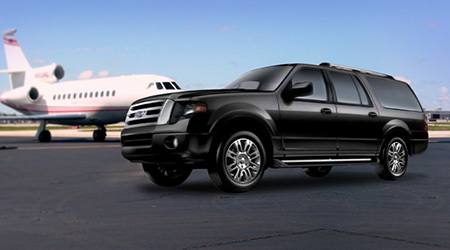 Flying in or out of DC Airport car service is the truly convenient and glamorous way to experience air travel. Customize the experience from beginning to end with easy online reservations and 24-hour access to personalized customer service. This premier chauffeured service delivers promptly from the initial pickup to the last curbside drop off with a detailed focus on customer experience and satisfaction. Reaching the DC Airport with limo service isn’t limited to limousines. We can accommodate all numbers of passengers from the few to the many, and you can choose a vehicle to meet all senses of style from simple and elegant to flamboyant and flashy. Allow us to provide your airport car service in DC in a fashion designed to make the experience easy, quick, dependable, and flexible – just the way you like it.